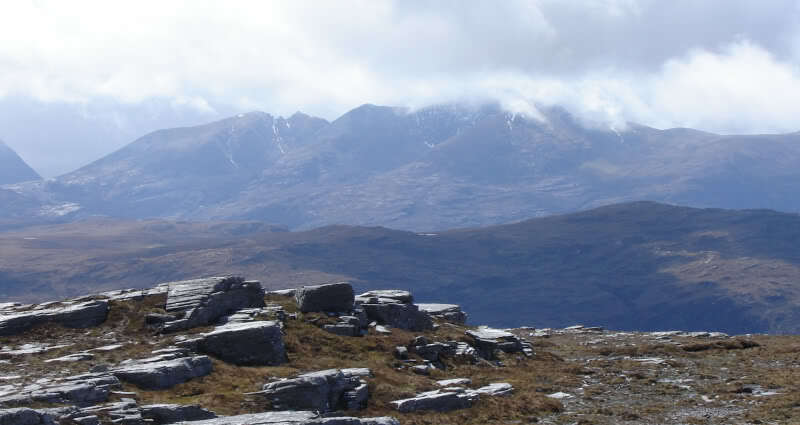 Beinn Eilideach can be ascended easily and quickly, from Leckmelm approx 5km from Ullapool. 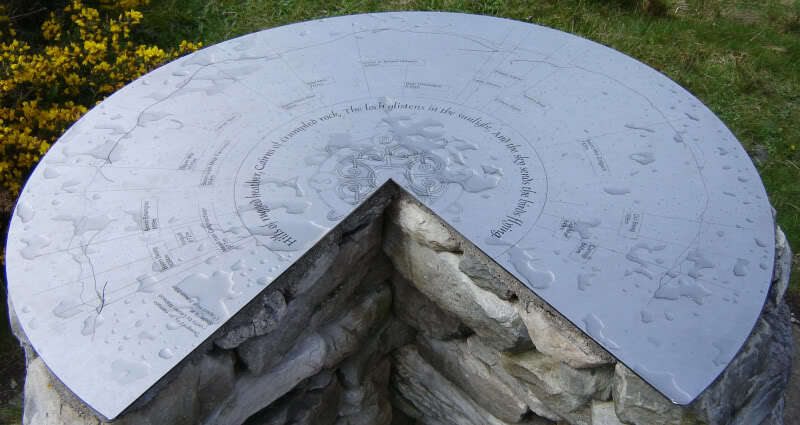 However, on reviewing the map, I noticed that it could also potentially be climbed from Ullapool, via Ullapool Hill. 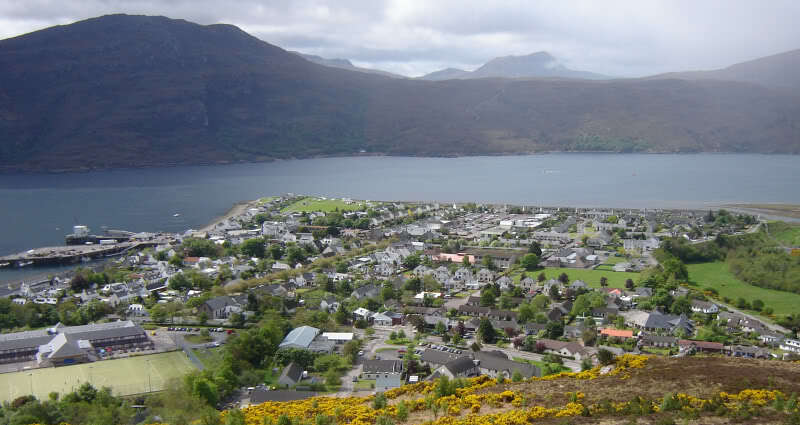 I opted for this route as I was keen to see Ullapool from Ullapool Hill. 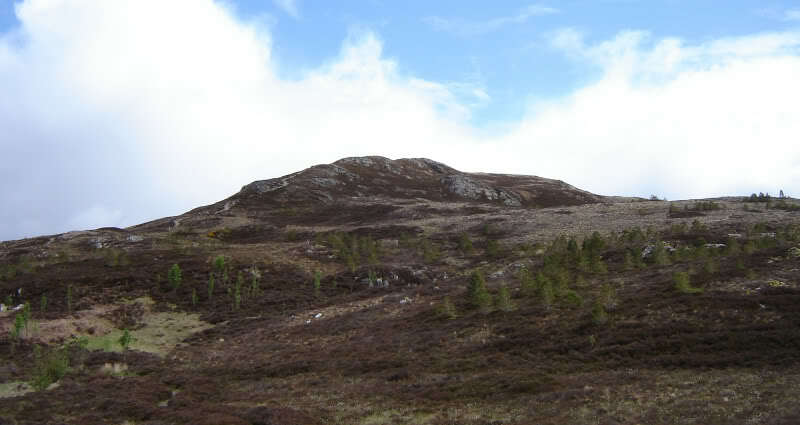 Note: Ullapool Hill is called Meall Mor on the 1:25000 map. 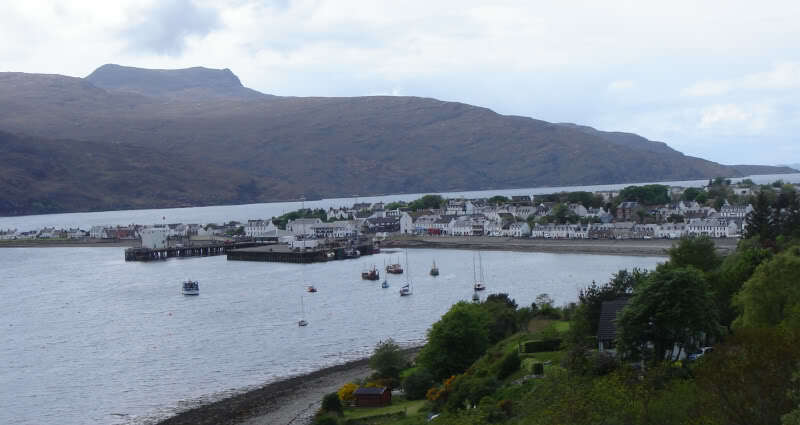 I started walking from the centre of Ullapool. 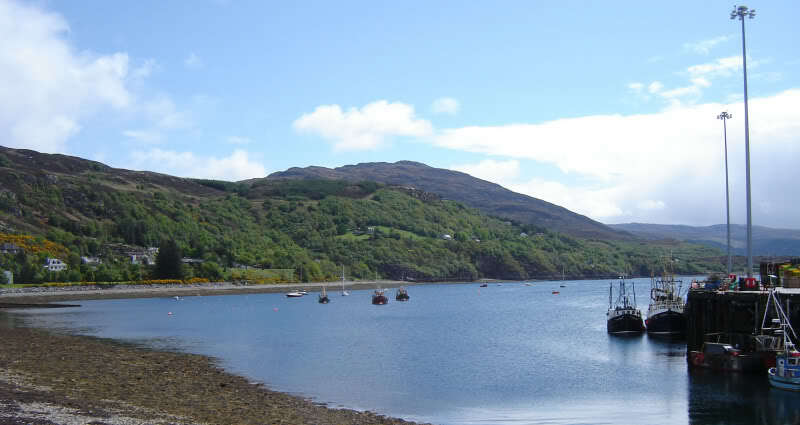 To get to the start of the Ullapool Hill path, walk along North Road and take a right at the sign for “Ullapool Hill Path”. 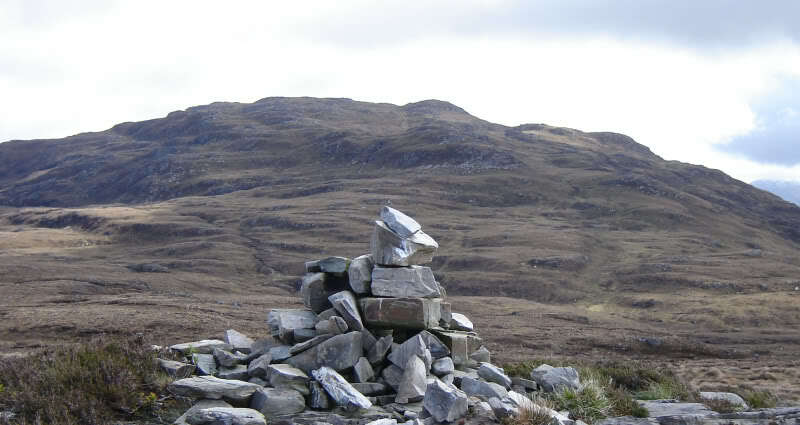 To get to the summit of Ullapool Hill follow the red way-markers or simply head up. 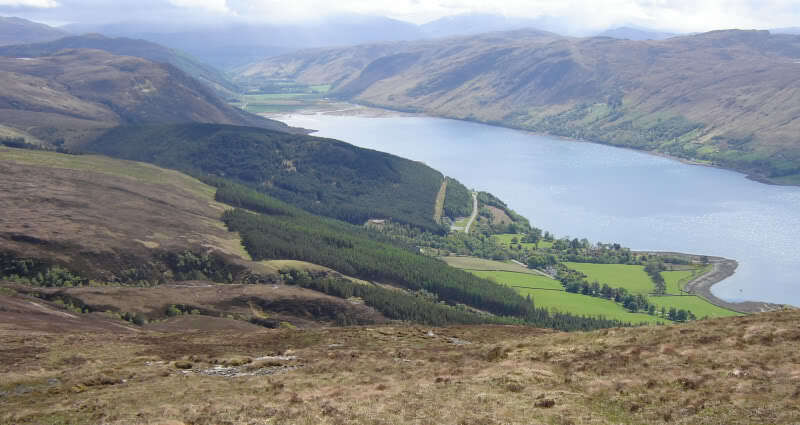 The path up Ullapool Hill is a good quality path. 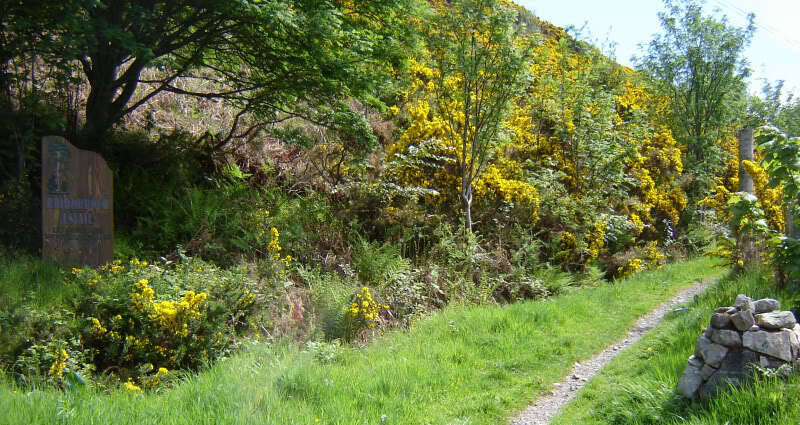 The path winds its way up through lots of bright yellow broom. 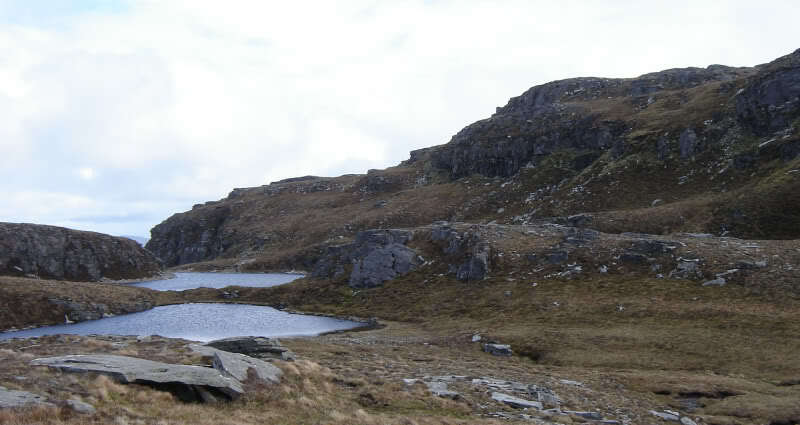 There are numerous benches on the way up should you feel the need for a rest. 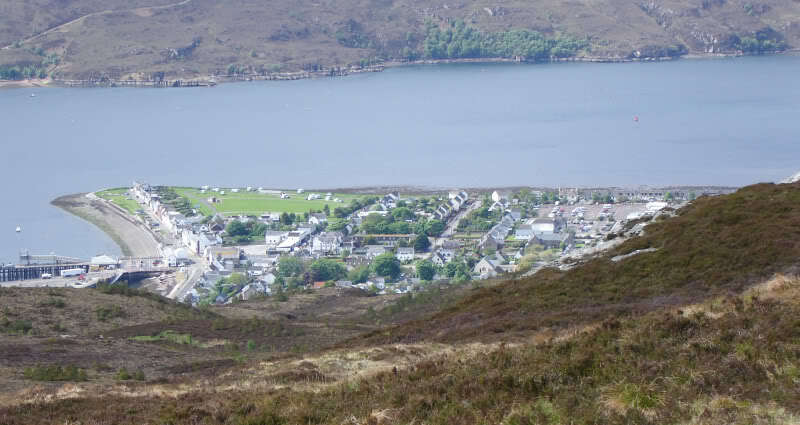 Ullapool's website suggests, “Allow 2 hours to get to the top”. 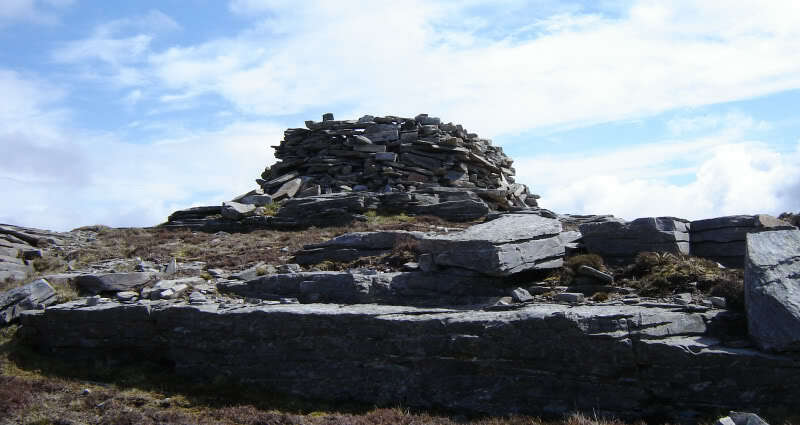 I reached the top in 36 minutes. I wasn't going fast and I stopped to take numerous photos en-route. Perhaps the 2 hours would however be necessary for a particularly slow snail. 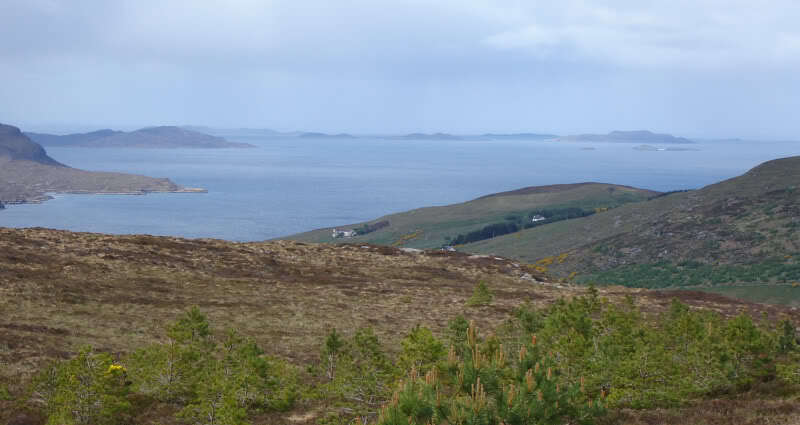 Ullapool Hill is a nice wee hill with great views for the amount of effort required. 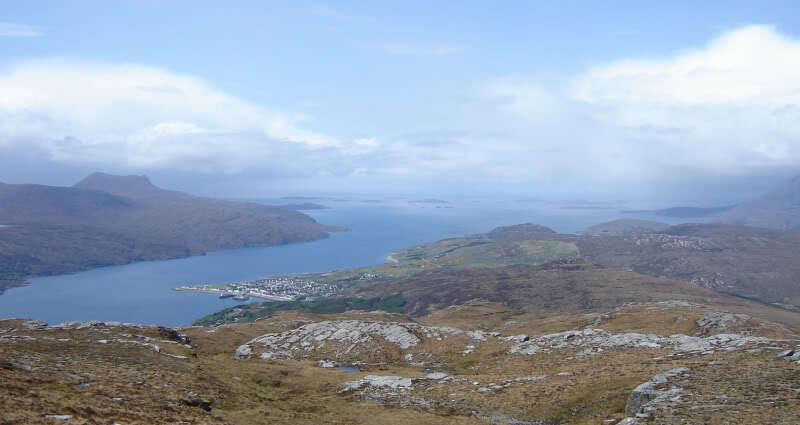 From the summit of Ullapool Hill, I made for Maol Calaisceig. 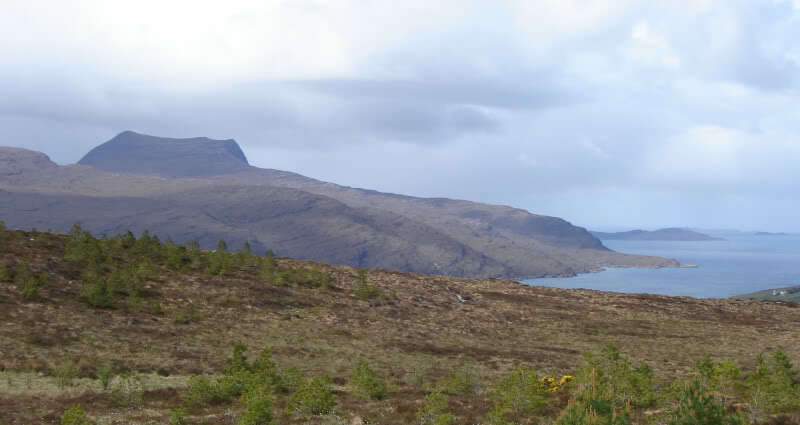 There is no path beyond the top of Ullapool Hill. 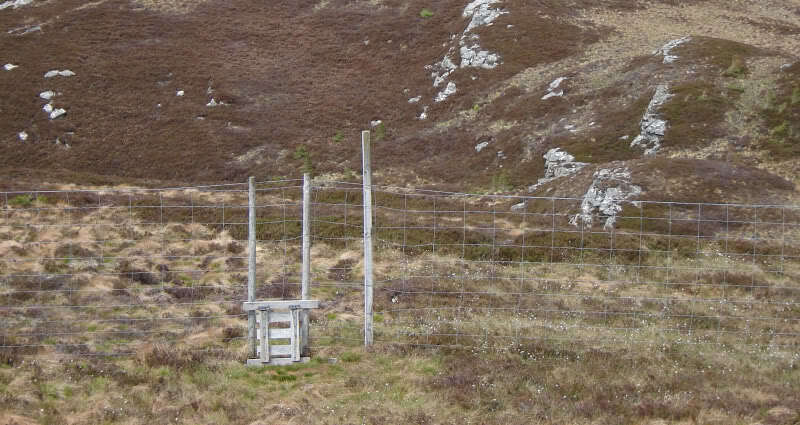 At the col between Ullapool Hill and Maol Calaisceig there is a 6ft deer fence. This fence is dog-friendly, as there is a small hinged gate at the bottom. 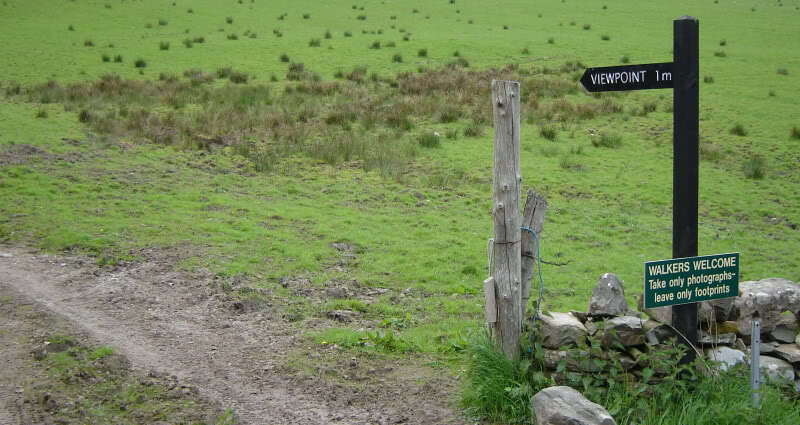 The fence is not however people-friendly as there is no stile. You need to either climb the fence or crawl through the hinged gate. I went through the hinged gate. 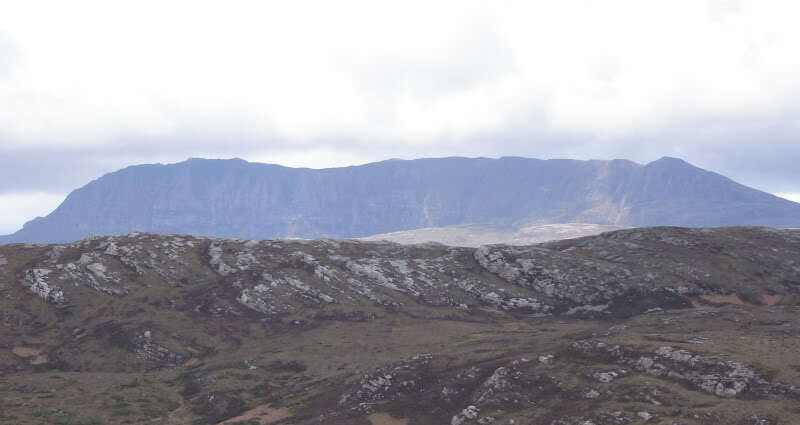 From Maol Calaisceig, I tried to pick a line that would lose as little height as possible. 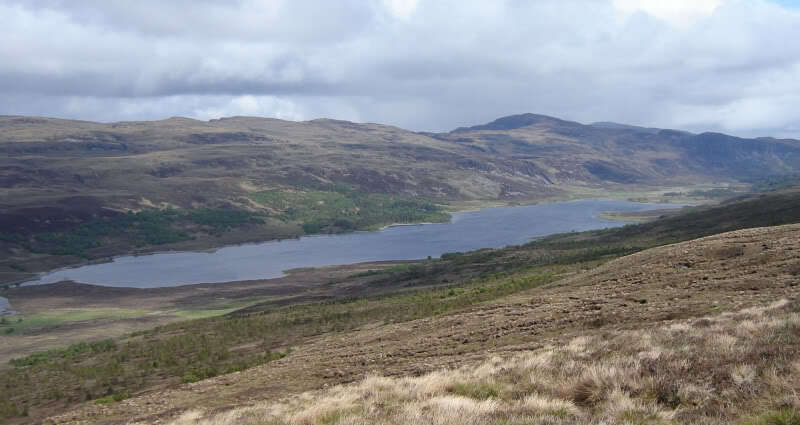 There are quite a few ups and downs between Maol Calaisceig and Beinn Eilideach and quite a few hags, albeit they were very dry today. 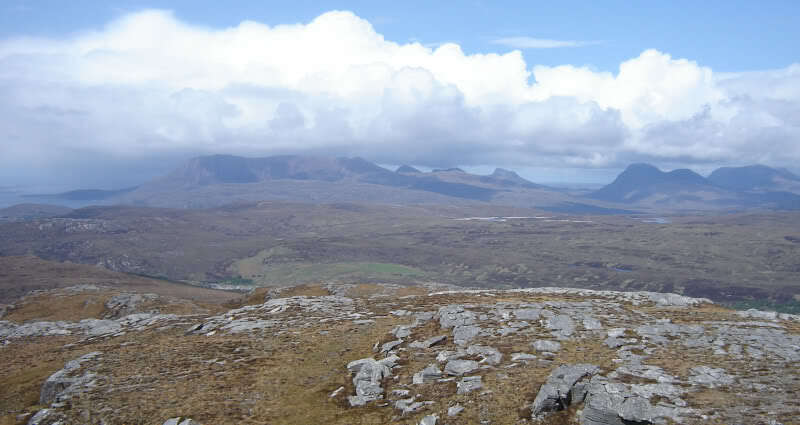 I opted to descend towards Leckmelm from the summit. 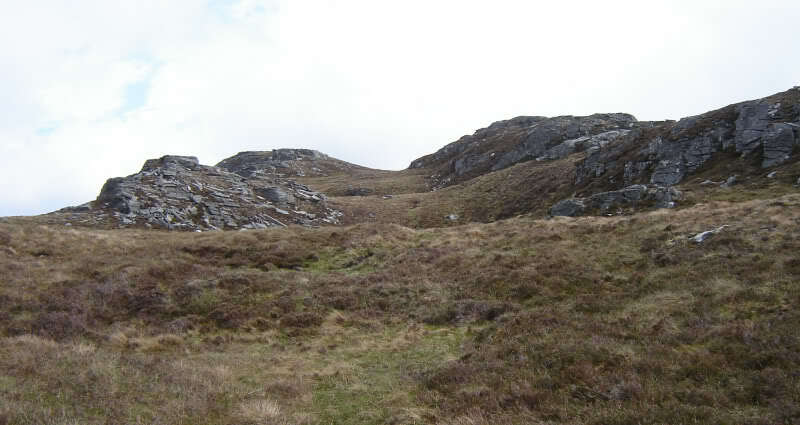 The descent was very easy, down grassy slopes and then via a land-rover track. I have included the following photo in case anyone wants to know which track to take from Leckmelm to get up through the trees. 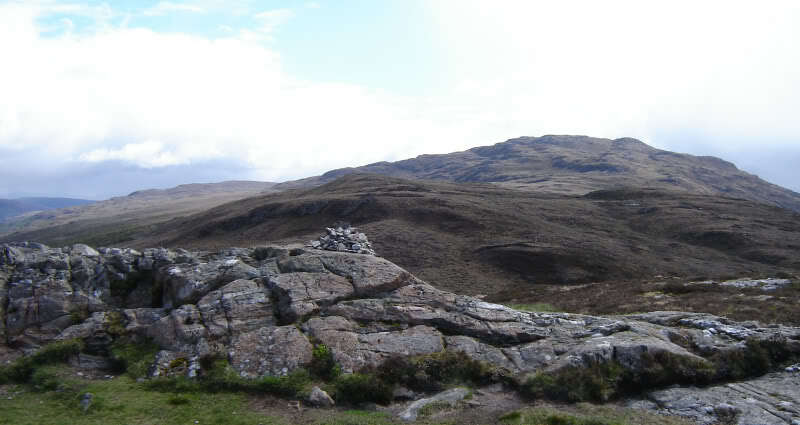 Once in the field take a left following the "Viewpoint" track. 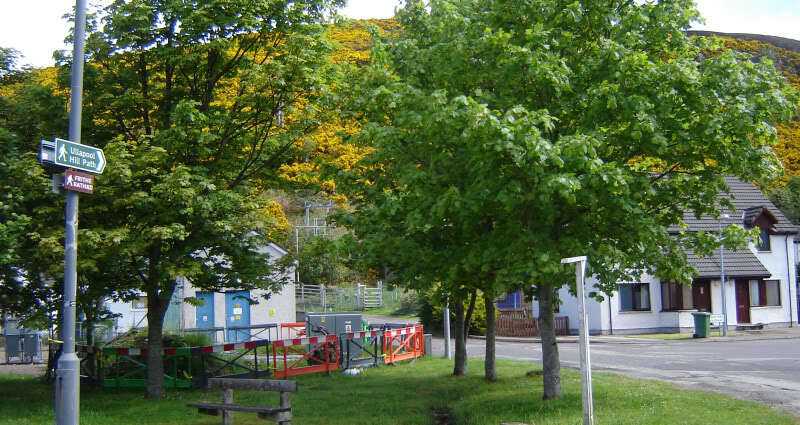 The nearest parking at Leckmelm is a few hundred metres away in lay-bys on the A835 towards Ullapool. 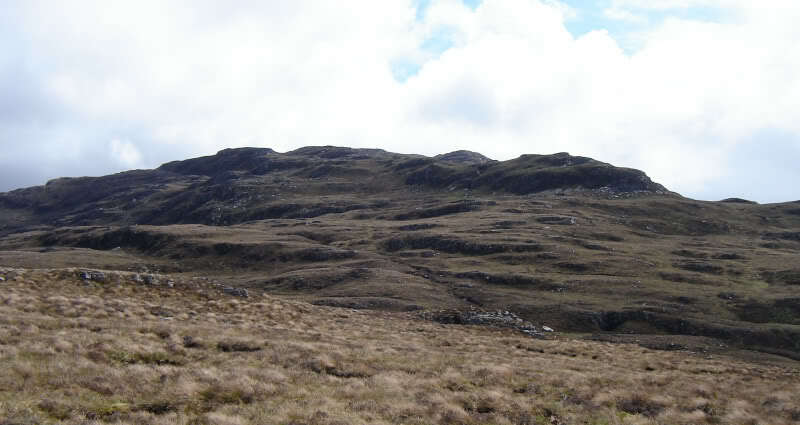 The walk back along the A835 was a bit tedious and hard on the feet. 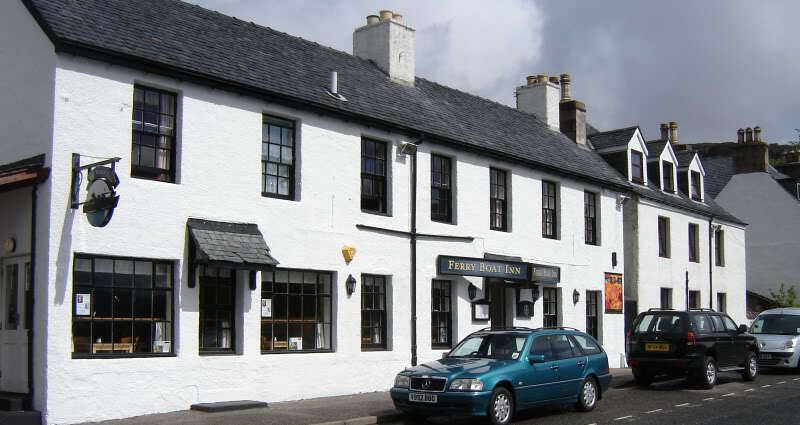 Was nice to get back into Ullapool and visit the Ferry Boat Inn to re-hydrate.